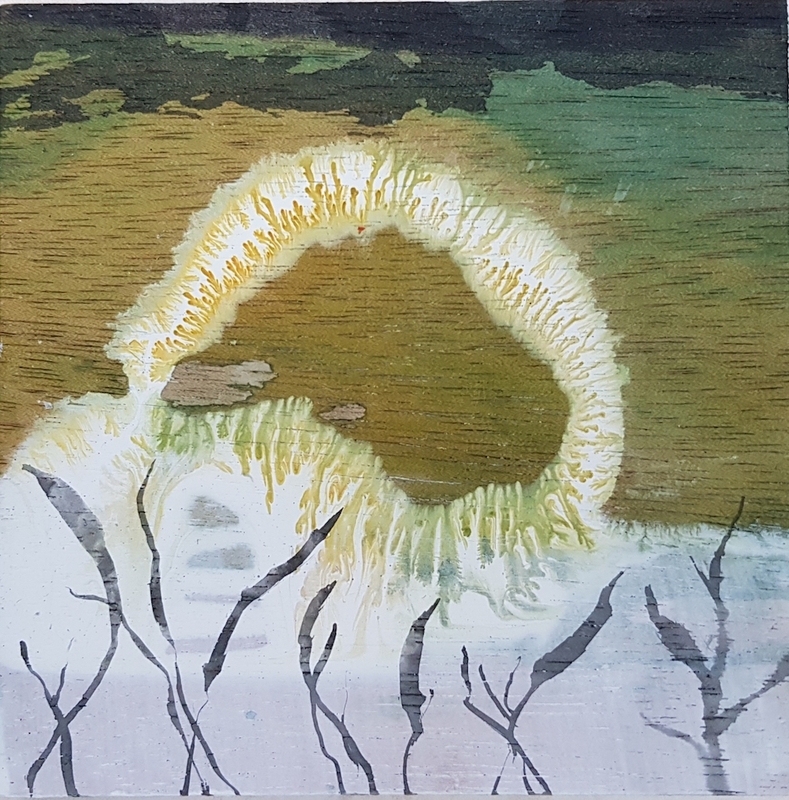 The first completed painting in the new collection, titled for my method for remembering how many lengths I’ve swum - by whispering the number to myself at each end. One length of the pool takes me 25 strokes, and during each one I see fleeting glimpses of the olive trees, the expanse of sky overhead, and the green splash of the water. Birds overhead, water below. The spacious simplicity of swimming outdoors. A single olive branch hangs suspended over the turbulent water after a dive. Some mornings, the warm water of the pool meeting the cold air causes mist to billow from the surface, creating a hazy world full of blurred edges and shapes emerging from the clouds. The olive branch and the swirling water - stillness and motion in conversation. 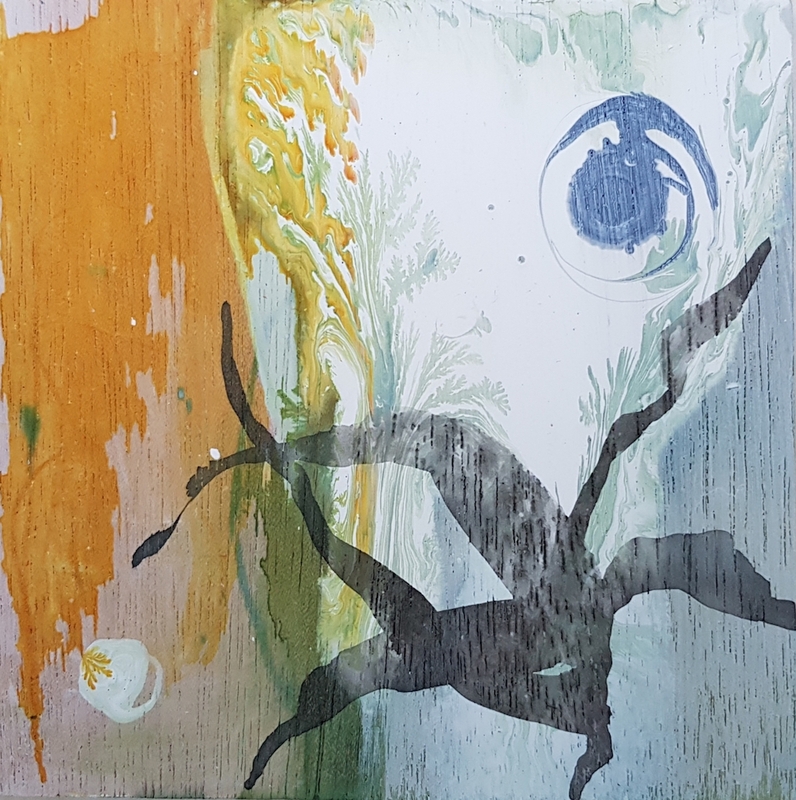 A direct expression of the experience of swimming in the green waters of the outdoor pool, and the silence and stillness I feel when I stop and listen while immersed in the water. A single delicate stem reaches towards the water. 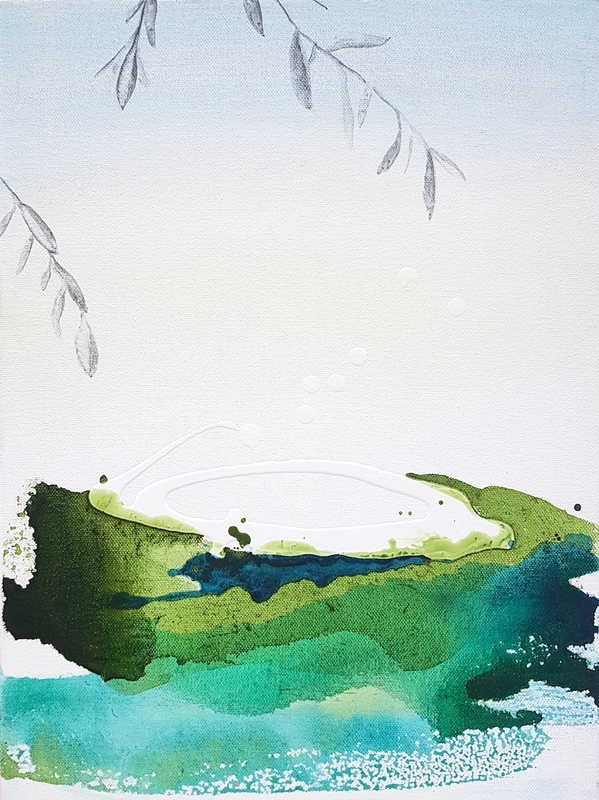 A feeling of lush growth by the water inspired by Japanese brush painting.